When we say, “Never forget,” what are we trying to remember? If it is the heroism of those who rushed into burning buildings and smoke stuffed stairwells — yes, let us remember. If it is the bravery of airplane passengers who stormed a cockpit to prevent more murder – yes, let us remember. If it is communities from across the nation sending their doctors and social workers and counselors and fire fighters and nurses and money to help repair the damaged bodies and souls and places — yes, let us remember. If it is the awareness that the executive who works in a corner office with a great view of the skyline and the commander in charge of a mighty military are vulnerable to random violence like the little black girl with braids in pink plastic bow shaped barrettes watching cartoons in the front room of her house in Chicago (or LA or DC or Detroit) and that knowledge spurs the executive and the commander to make decisions that benefit the girl in the pink plastic barrettes watching cartoons — yes, let us remember. If it is the fear of our country being under attack and that fear helps to grow in compassion for those who do not know what it is to live in peace – yes, let us remember. If it is the memory of September 10 when someone with dark skin or a headscarf who spoke a language we didn’t understand wasn’t automatically our enemy — yes, let us remember. then it would be better if we forgot. 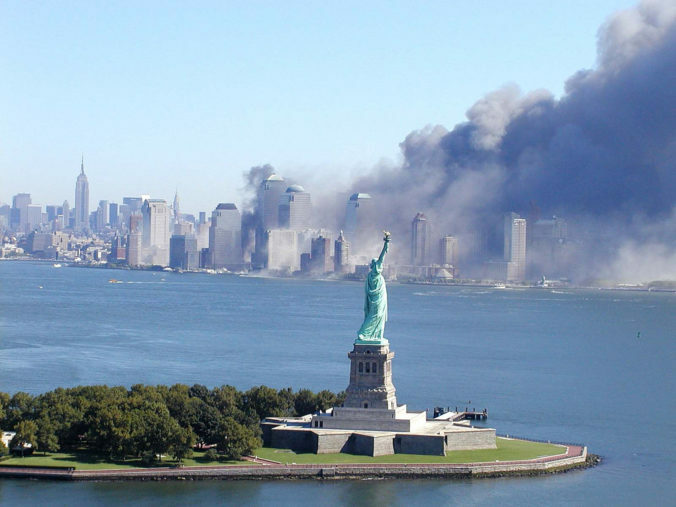 We should forget if remembering September 11 makes us bullies. But if it makes us brave, noble, and generous may we always remember. The generation before us remembered the Pearl Harbor attack, as we continue to do so, still (75th anniversary on Dec. 7th). The resulting Pacific War cost our parent’s and grandparent’s era dearly, and ultimately an awful weapon was unleashed to end the horror, a profoundly dark moment in human history. However, both nation’s participants taught us what it also means to forget…to humble ourselves and forgive. A friendship was nurtured and endures today, giving us hope for tomorrow, even while the struggle for peace remains. We are fortunate to have such a precedent for remembering. Thank you for stirring the thoughts. Fred, thank you for the thoughtful response. We also seem to be just remembering now the incarceration of thousands of Japanese Americans. Such a complicated, difficult time. This is so well said. I often feel like “Never Forget” is used in an antagonistic way.